Find My Workspace lists over 95% of the executive office suites market in El Segundo. Simply click Request Quote to check pricing for one office, or Add to Basket for multiple offices. 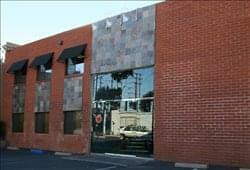 El Segundo, California - Penn St.
Two story office building, located in the Sleepy Hallow area of El Segundo, CA. Available office suite is located on the second floor. This suite offers 1 private office with window and remaining area open. Shared kitchen and conference room. Electricity, wifi and daily cleaning service included. All other suites are leased. Very friendly atmosphere with great tenants.